The animosity between Batman and his villains has spawned God-knows-how-many comic books and films. Whether it's in animated or live-action form, the Dark Knight's media franchise has evolved from a cult entertainment line into a celebrated part of pop culture. This is also the reason proponents have to come up with fresh ideas to push the brand even further. 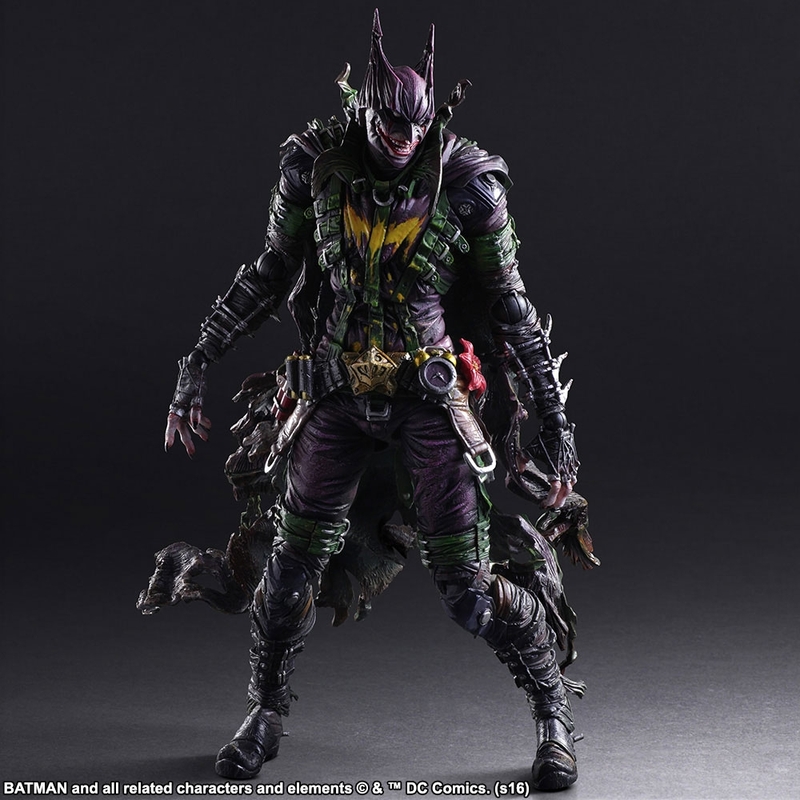 Enter Square Enix's newest line of Batman figures: the DC Comics Variant Play Arts KAI BATMAN™: Rogues Gallery series. 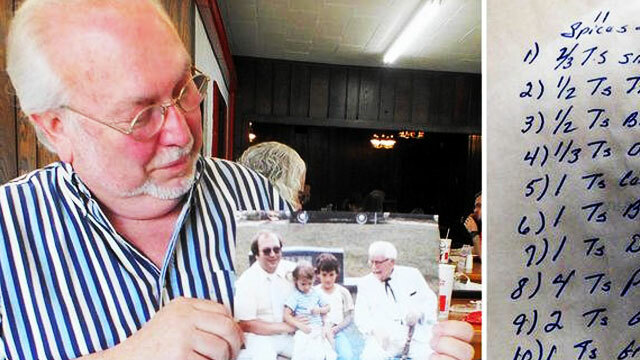 Think of the Caped Crusader having been possessed by the dark elements that had hounded him all those years. These twisted iterations represent a superhero's arduous struggle to rein in the demons ready to corrupt him from within. The series debuted with a vision of how Batman would look like if fused with his dermis-deprived arch-enemy Two-Face. Imagine someone throwing strong acid in half of Bruce Wayne's body while donned in his iconic costume. The attack was so severe that his very flesh merged with his black batsuit. 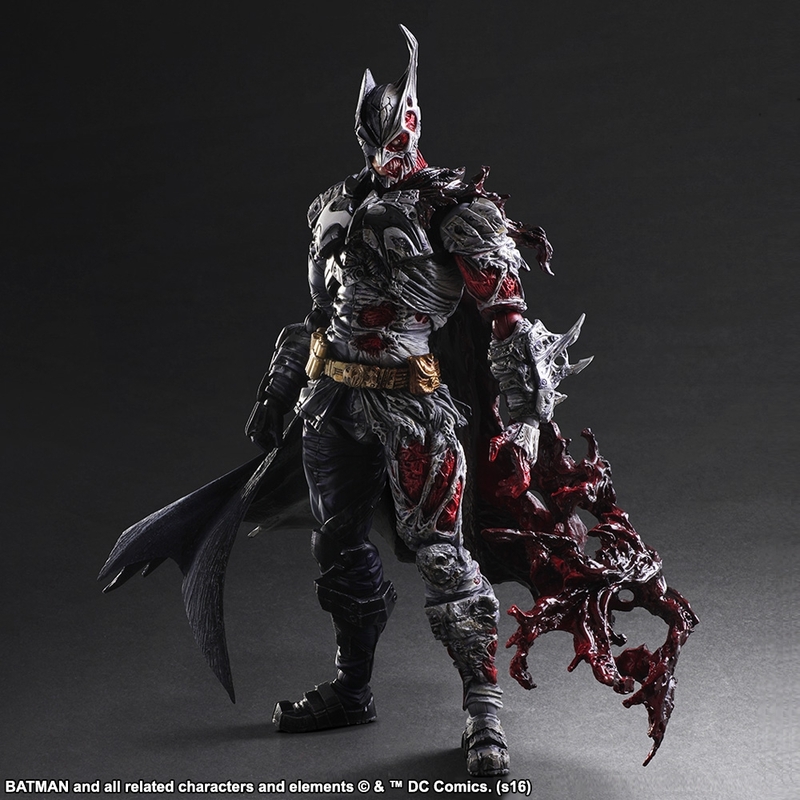 "The right half of his body resembles the classic BATMAN design, but the armor and suit are slightly melted and warped. 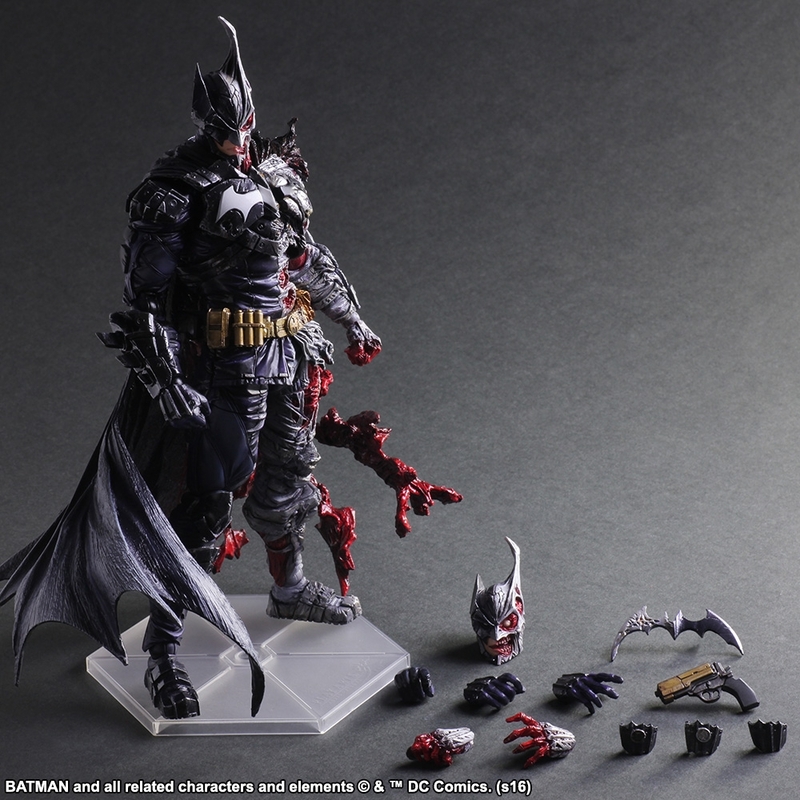 On the left half, however, the color scheme and form are totally transformed, resulting in a TWO-FACE design applied to a BATMAN outline. A charred, scorched paint effect has been carefully reproduced, along with eyes made with transparent parts for a haunting expression, set in a visage of half-melted flesh." A Batman release would be incomplete without his ultimate foe, the Joker. 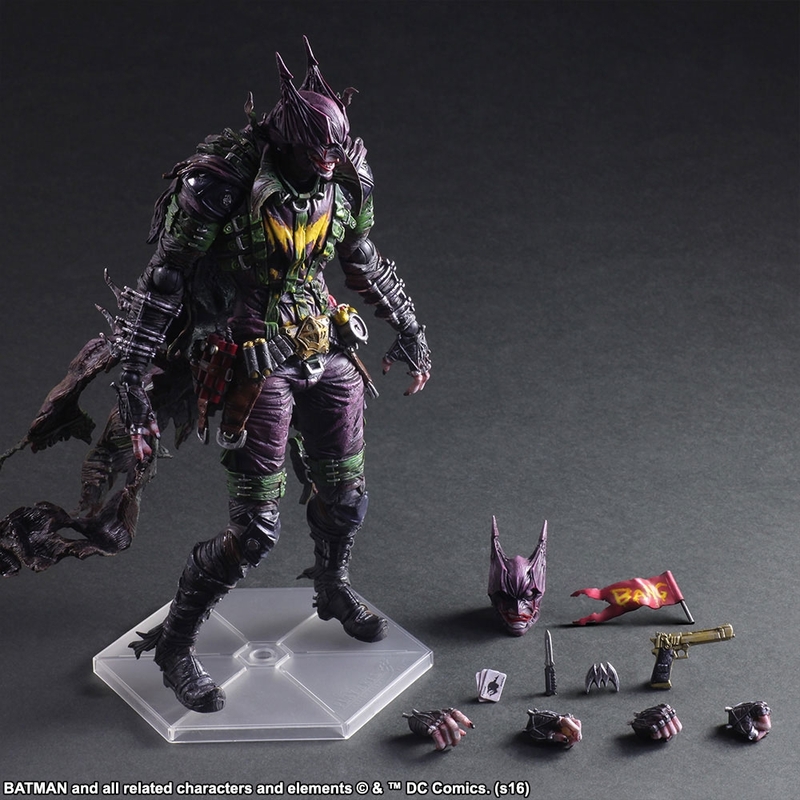 Playing with the Clown Prince of Crime's trademark hues, this grinning version of the Dark Knight is even darker, a dangerous combination of sick humor and combat prowess. "A tattered straitjacket is erratically adorned with dynamite, a flower, cans of pepper spray, and an alarm clock. 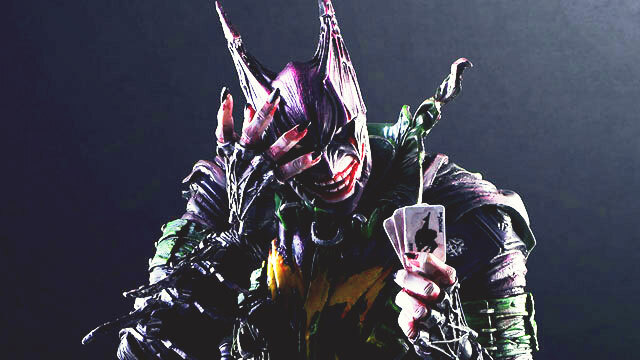 Combined with his playing cards and a pistol with a flag as interchangeable parts, this ensemble shows the character's madness, oozing from within." The Two-Face model will reportedly be out this coming December, while the Joker one in March next year. Pre-order here.